The year 2015 was monumental in the funeral industry because it marked the first year that cremation become more commonly chosen then burial in the United States. As of May, 2018, Utah is now the 16th state to make legal a fairly new cremation process called “alkaline hydrolysis.” The bill took two legislative sessions to pass, but in the end was voted through because it’s seen as a greener way to cremate human remains. Also known as “water cremation,” “aquamation,” or “flameless cremation,” alkaline hydrolysis is a dissolution process that reduces human remains to basically liquid form. This procedure begins by placing the body in a rectangular steel chamber which then fills with a mixture of water and chemicals, including potassium hydroxide. The compartment is then heated and pressurized to speed up the digestive process. The cremation takes about 3 hours, and once the procedure is complete, the liquid is drained from the chamber. It is dark in color and think, and is essentially made up of the chemical components that make up the human body, but they are separated and liquified. The bones are removed from the chamber separately. They are washed and dried and then pulverized into a fine, flour-like dust that can be given to the family like ashes or cremains. Why do people choose this process? This “water cremation” is considered more environmentally-friendly than traditional cremation and much more green than a burial. It’s also a gentler process than incinerating a corpse, since the procedure is more like a bath than a raging fire. Researchers are looking into using aquamation remains as fertilizer for fields and gardens, though many people show resistance to this recycling for the time being. Is flameless cremation offered already? Since the legalizing of the procedure, funeral homes around the state are looking into the equipment needed for alkaline hydrolysis. In some states, water cremation has been common for up to seven years and many people pre-planning their funeral are selecting this option for themselves. The licensing and machinery needed for a funeral home to offer flameless cremation will take time and money. However, alkaline hydrolysis may be the most popular “burial” method in Utah in the next ten years. Is water cremation morally acceptable? At its inception, alkaline hydrolysis was debated throughout the religious institutions throughout the country, especially the Christian sects that prominently influence many families’ choices. 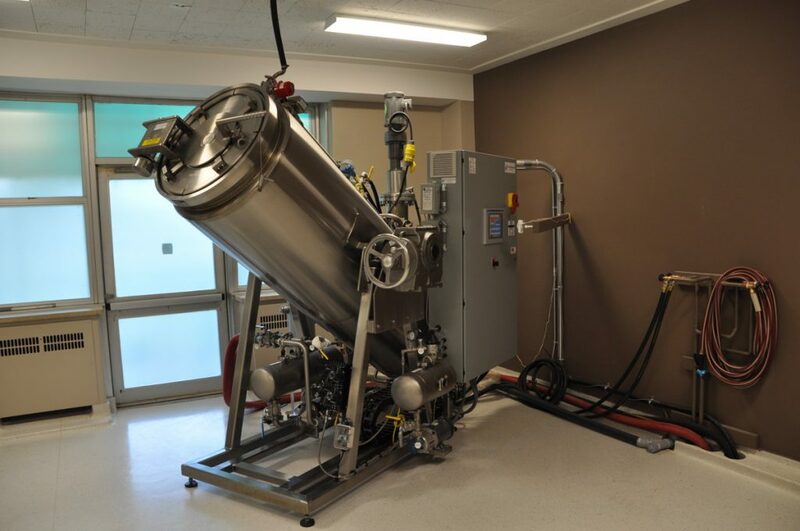 “In New Hampshire, where alkaline hydrolysis is prohibited, the Diocese of Manchester has said the process is disrespectful to human remains, and opposition by Roman Catholics has helped to block legislation in Ohio and other states,” says the Deseret News. Though the differences between aquamation and regular cremation could be seen as minimal, there may be questions by religious organizations as this process becomes more familiar over time. The Church of Jesus Christ of Latter-Day Saints generally discourages cremation, but allows for individual families to make their own decisions. We’ll see in the coming years how water cremation pans out for Utah and if other states will follow by legalizing this new technology.